"I would like to say one thing to John McCain. Listen, Senator: you don't show up for me, America doesn't show up for you." 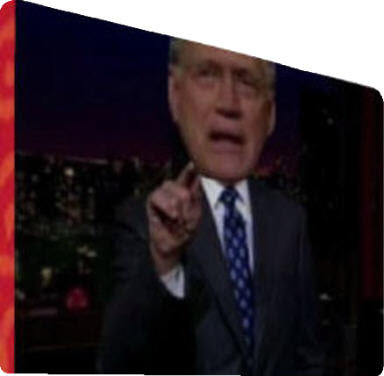 - David Letterman, still whining about Senator McCain canceling an appearance on his show, ostensibly to go back to Washington to work on the financial crisis (actually McCain then took the time to give an interview to Katie Couric before flying to D.C.) Hmm, is it this blogger's imagination, or is that head swelling?